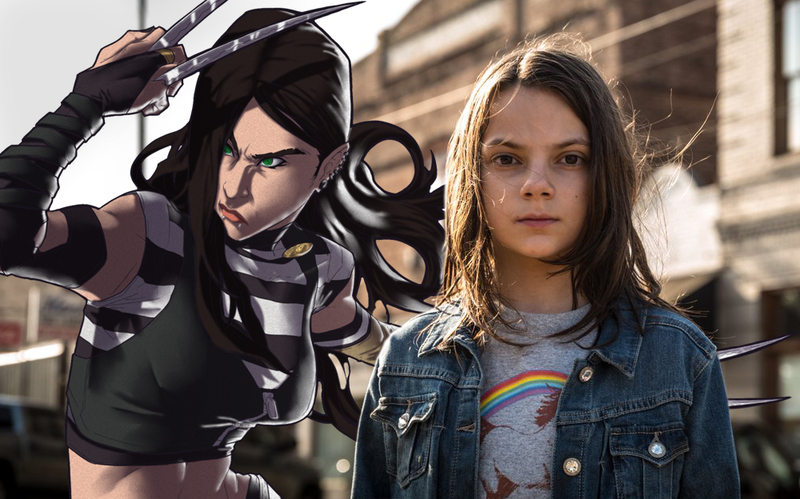 Comics 4 Movie Fans: Who is X-23? 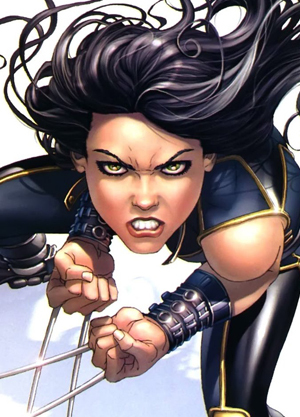 While she may not be sporting the moniker in the movie, the young girl in question is none other than the current Wolverine in comic books, a mutant known initially as X-23. You read that right: the old Canucklehead is no more and a spry, deadly young woman has taken his place in the iconic blue-and-yellow battle pajamas. What happened to the comic book Logan – and may end up happening to the movie version – is a story for another time, but what concerns us today is the backstory of Fox’s newest addition to its Marvel-inspired cinematic universe. Logan is the most adaptive and successful survivor of the sinister top-secret Weapon X Program, whose origins lie in the genetic experiments of longtime X-Men villain Mr. Sinister. Due to his incredible healing factor, Logan was able to survive the process of bonding liquid Adamantium to his skeleton, which made him nearly indestructible. With Logan “off the leash,” so to speak, attempts were made to clone him in order to create an army of indestructible super soldiers. However, the only genetic sample of Logan they could acquire was damaged and they were unable to produce a viable male clone after 22 attempts. Doctor Martin Sutter finally used the sample to create a female clone and forced Doctor Sarah Kinney to act as surrogate. The procedure was a success and X-23 was born. What Kyle is referring to is the hellish childhood that X-23 was forced to endure. She was raised in captivity and honed as a weapon. In order to trigger her mutant gene, which typically only blossoms at puberty, Rice began poisoning X-23 with radiation at the age of seven. She was then conditioned to go into an involuntary homicidal rage when exposed to a manufactured “trigger scent” and sent on numerous missions where she racked up a grim body count. X-23 even ended up slaughtering her own surrogate mother in a fit of scent-fueled rage. Free from the hellish program, but with nowhere to go and no social skills to speak of, X-23 wandered the streets of New York until she fell under the control of a pimp named Zebra Daddy, who forced her to work as a prostitute. 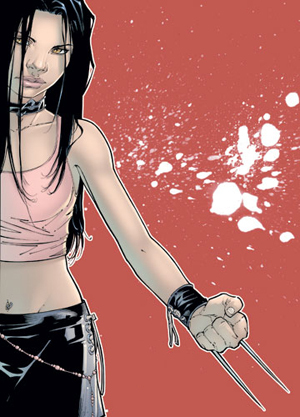 Psychologically disturbed and practically mute, X-23 developed a self-mutilating disorder and would cut herself with her own claws when stressed out or threatened. X-23 was eventually rescued by the X-Men when the team went to investigate some murders that seemed to implicate Wolverine due to the manner in which the men were killed. Over time, and with Wolverine and the rest of the X-Men to help her, X-23 became better equipped to handle her murderous impulses and became a valuable member of the X-Men and, later, of the covert branch of the team known as X-Force. In current comic book continuity, she goes by the name Wolverine and stars in the title All-New Wolverine. Given that Logan takes place in a near future in which mutants are all but extinct, it’s unlikely that her movie origin will intersect very much with her animated series or comic book origins. However, she does appear to be mute as she doesn’t utter a word in any of the footage and she could end up being the one and only Wolverine at the end of the movie if Logan is, in fact, Hugh Jackman’s last run as the mighty mutant. Logan opens nationwide on March 3, 2017.